The S7 Group airlines1 have reviewed the results of their operating activities for October 2017. In the last month, the airline companies have carried 1,199,585 passengers, which is a 7.8% increase over October 2016. 892,692 passengers have taken S7 Airlines domestic flights, which is a 9.4% increase over October 2016. The growth on international destinations has amounted to 3.5%. In October, the airlines carried 306,893 passengers on its international flights. In October, the passenger turnover increased by 7.2% and amounted to 2,436,520 thousand passenger-kilometres, the cargo turnover increased by 6.9% and amounted to 230,961 thousand tonne-kilometres. “Over the past month, we have noted a significant increase in the number of domestic flights as it’s the peak of the business season and passengers are making more business trips. S7 Airlines continues to develop its regional route network and offers its passengers convenient flights to new destinations which are operated on new Embraer 170. In October, we opened new flights from Moscow to Lipetsk and from Novosibirsk to Chelyabinsk”, notes Igor Veretennikov, the Commerce Director of S7 Group. Traditionally, in October we also sum up the results of the new flights in the summer schedule. This year S7 Airlines has opened several international flights, which will remain in the schedule during the year. So, passengers of S7 Airlines can take scheduled direct flights from Moscow to Sicily, Pisa and Vienna, from St. Petersburg to Berlin, from Novosibirsk to Tbilisi and from Vladivostok to Osaka. Moreover, the airline has significantly expanded the geography of its flights to Russian cities. 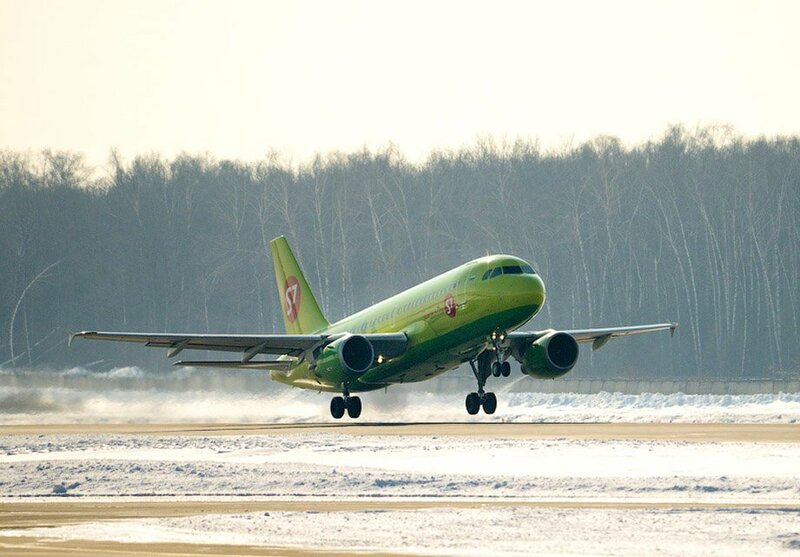 S7 Airlines has connected Moscow with Mirny and Petrozavodsk, St. Petersburg with Bryansk, Yaroslavl, Kaliningrad and Kaluga with its direct flights. New flights from Novosibirsk to Abakan, Nizhnevartovsk, Tyumen, Novyy Urengoy, Gorno-Altaisk and Rostov-na-Donu have been added to the schedule. 1 The Siberia and Globus airlines performing flights under the unified S7 Airlines brand.